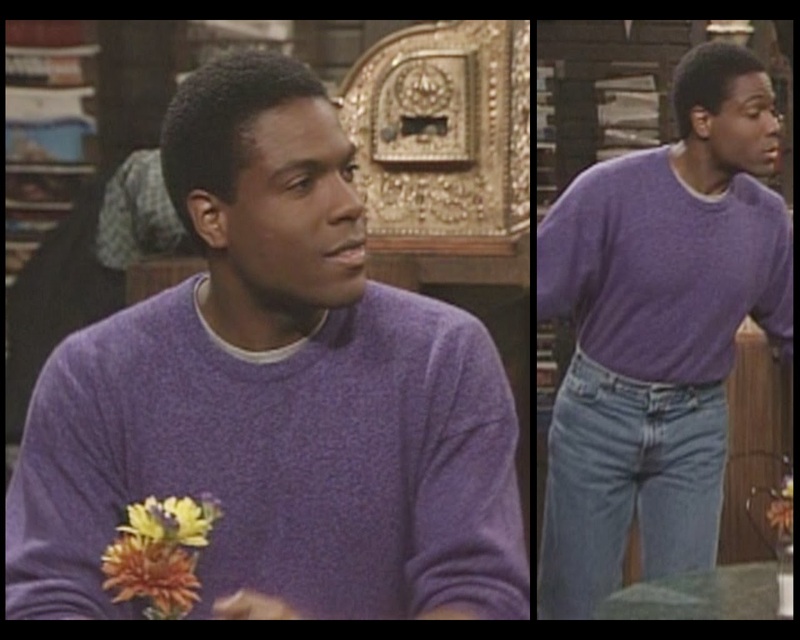 Martin proposes some alone time with Cliff, since the two don't know each other well. Their day together ends up being super patriarchal: they bond over the fact that they're both military men and that Denise was a virgin on her wedding night. (Seriously, they're way too happy about that tidbit. They all but high five.) Just to make sure the emphasis on male dominance is hammered home, they end the episode with a brief re-enactment of the wedding, not because Cliff was sad about missing the event, but because he feels the need to give his daughter away. Like, straight-up transfer of ownership. Not having it. Why does that woman have reality TV judging face on? 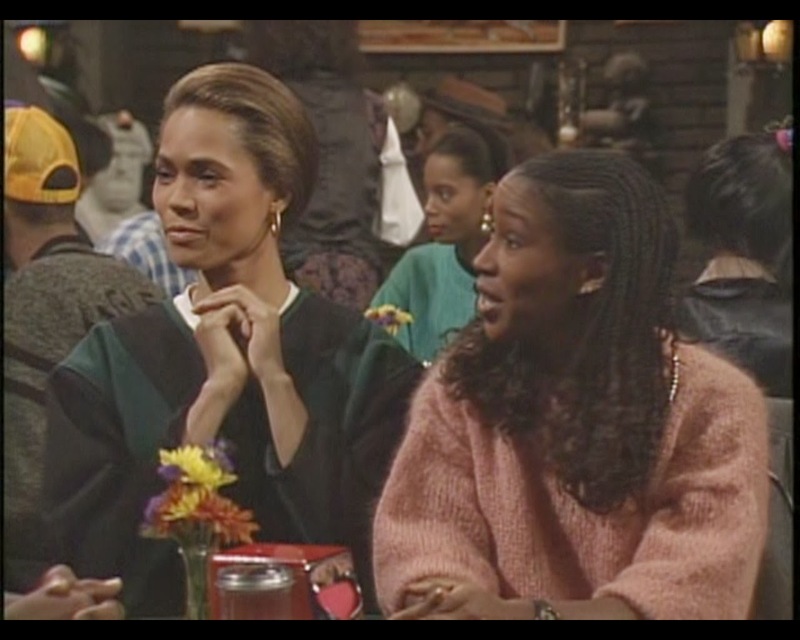 Tracey Ross and JoAnna Rhinehart appear early on as two women who are for-real flirting with Martin, and then as-a-joke flirting with Cliff, and then not-at-all flirting with Theo. Ms. Rhinehart wins for that big pink sweater; nothing else here is any good, and we can't see much of it anyhow. 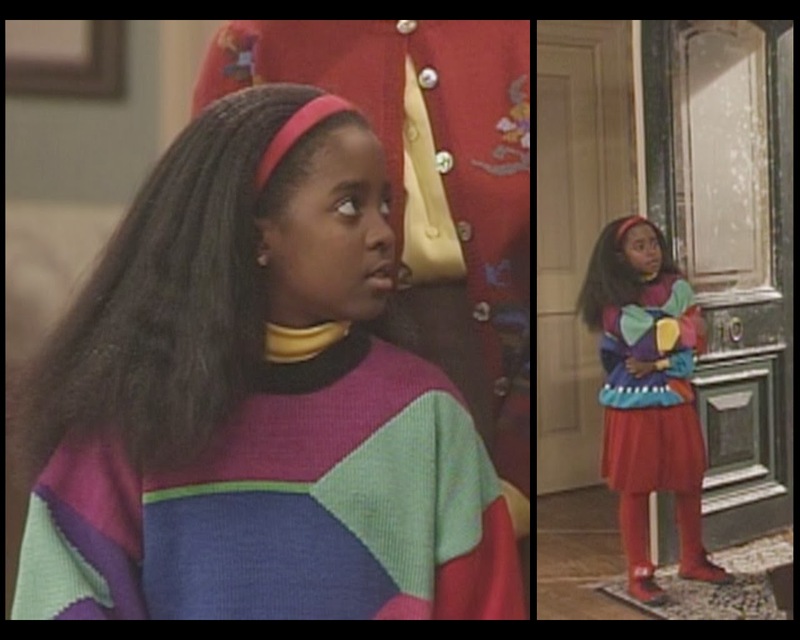 Olivia continues to dress like a homeless hippie clown, which we probably should have expected from Denise's child. 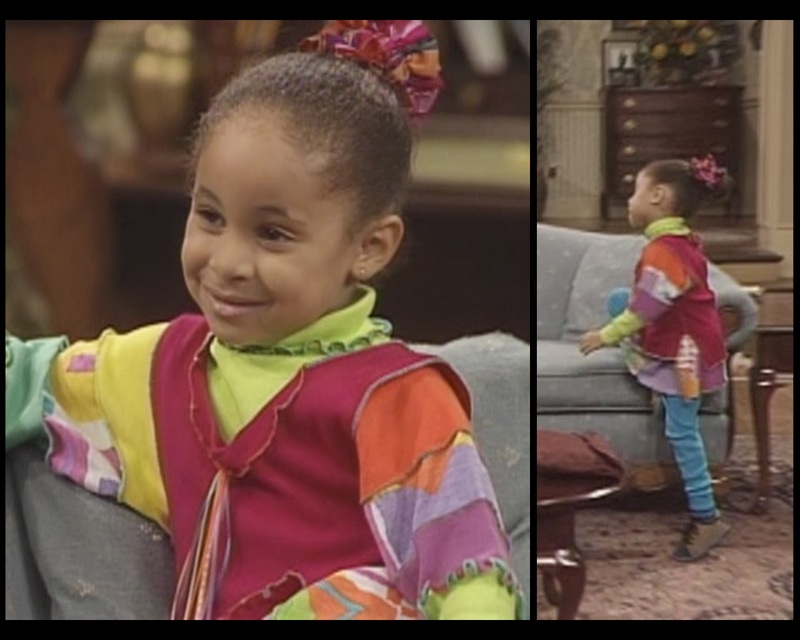 Her scenes this episode are culturally important because she gets a quick lesson in what would then have been called political correctness from her mom. (She is urged to say African-American instead of black and Caucasian instead of white.) Even better is the reason why she uses those terms: she's asking, a good 25 years before Fox News got there, what Santa's ethnicity is. 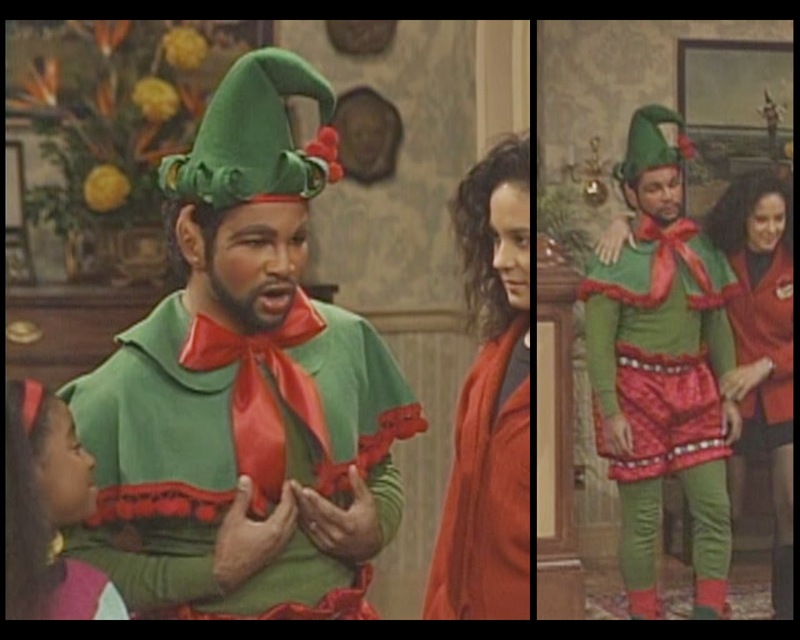 Consensus in the Huxtable household is that Mr. Claus can be whatever racial makeup he chooses, given that he is a magical man known for living in an uninhabitable tundra, fraternizing with elves, and visiting every global Christian household in a 24-hour window. I'll trust their judgment on this one. 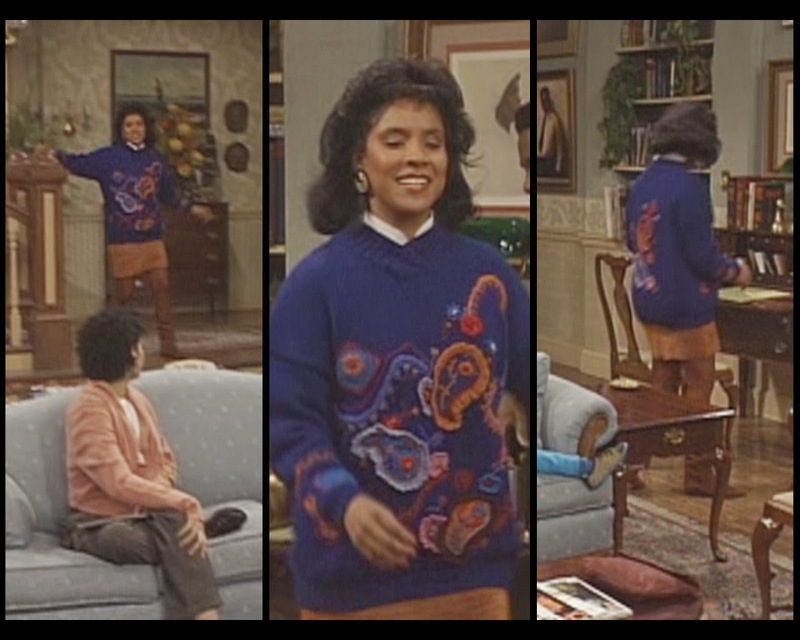 Rudy serves up her episode #6.10 skirt with matching tights from last week, a bold geometric sweatshirt, and a yellow turtleneck. There's a lot of rainbow fantasia happening here, and I'm not gonna lie, it comes off as a direct shot at Olivia. Don't be the Madonna trying to scoop Britney's style. You're not going to get younger, you just have to figure out how to make older work for you. This isn't the answer. A brief but memorable appearance. 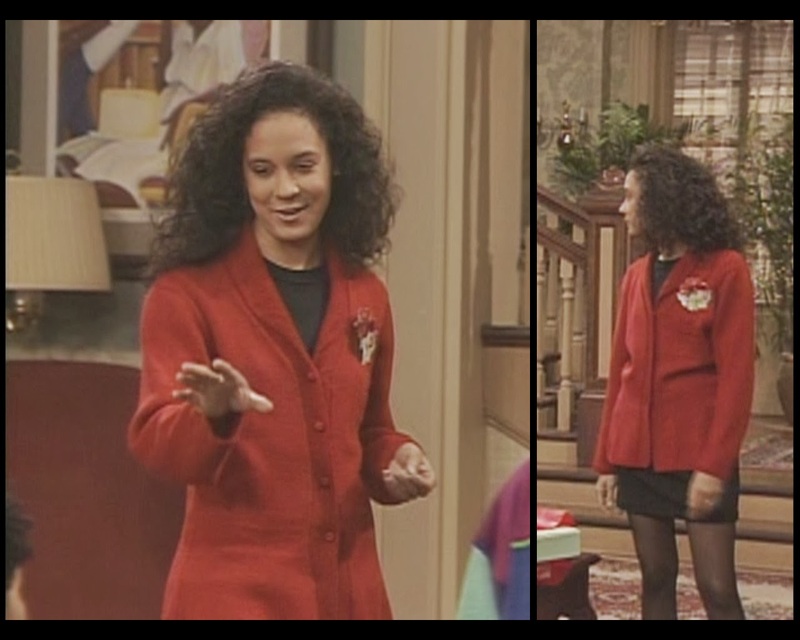 This outfit demonstrates Vanessa's continued interest in cardigans and high-waisted pants, though not necessarily a maturing of her aesthetic eye. By fastening the sweater only at the top, she causes it to flare outward, widening her right at the hips while masking all the shaping done by the slacks. The whole point of that tailoring is to accentuate the trimmest center part of her torso, and she obscures that entirely, instead creating this unflattering teardrop silhouette. It's the wrong pairing of garments. I also don't like the red and blue of her cardigan against the yellow blouse underneath; primary colors bother me, as you've probably noticed by now. 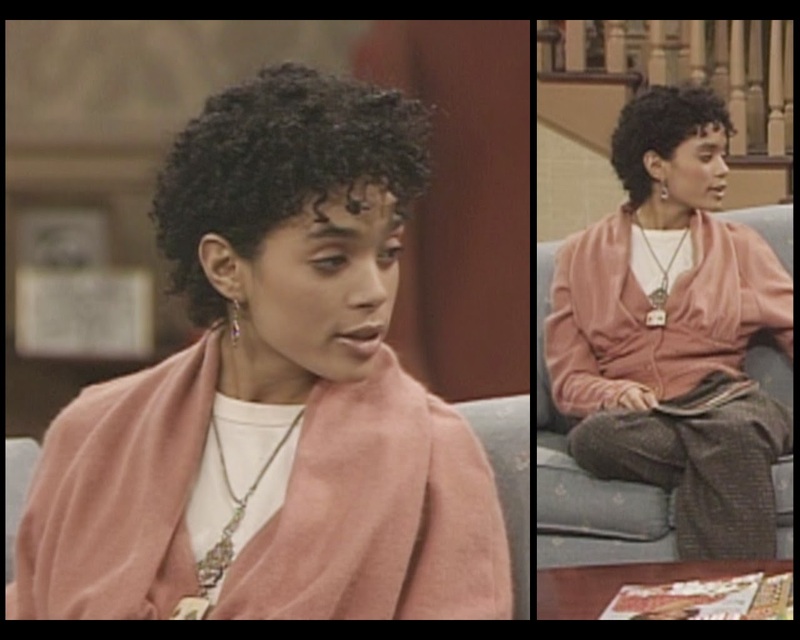 Loving that haircut, Denise. She's back with another pair of big, loose, men's-style trousers, this time in a subtle print. Giant wool pants don't sound flattering, but she knows how to make them work. The top is free without actually being wildly loose; it still has structure and gives a sense of her shape, and its ability to emphasize her small torso balances the mass of fabric below. The dusty rose hue is just beautiful and makes a nice counterpoint to the grandpa slacks, too. This is another one of those casual masterpieces that she doles out like they're not difficult to produce. Oh, how I adore her. 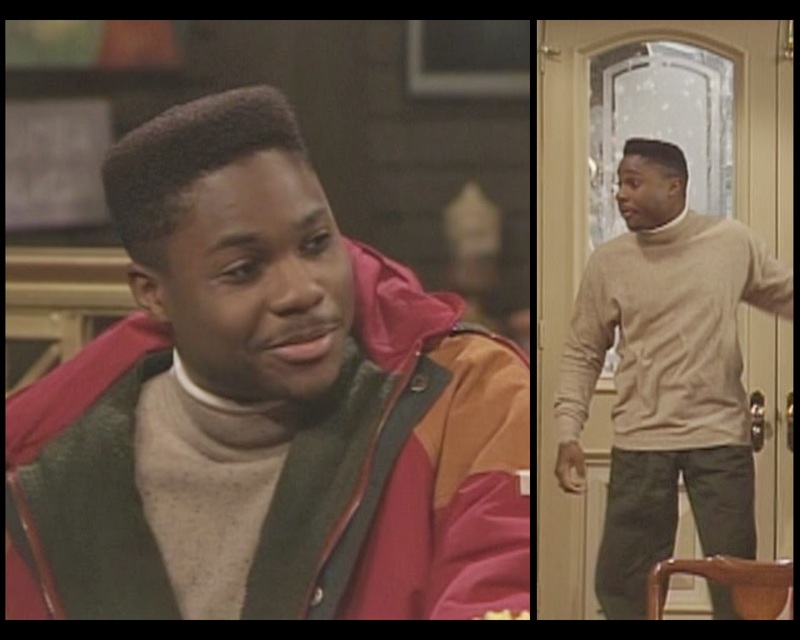 So you're telling me that two women hit on Martin even though he had his sweater tucked into his mom jeans? Not buying it. How many red coats does Sondra have? Too many, that's how many. And if she had to buy another one, why this one? It's not exceptionally well tailored and the length is a little scant without actually becoming a stylish cropped situation. I'm not going to fault her for the black dress or skirt/tee combo or whatever because that's just always going to be correct. I'll also forgive the pin because she's about to go do charity work with children and it's probably for them. Why did they have fake ears in the house already? Elvin dresses like an elf this week. No comment needed. 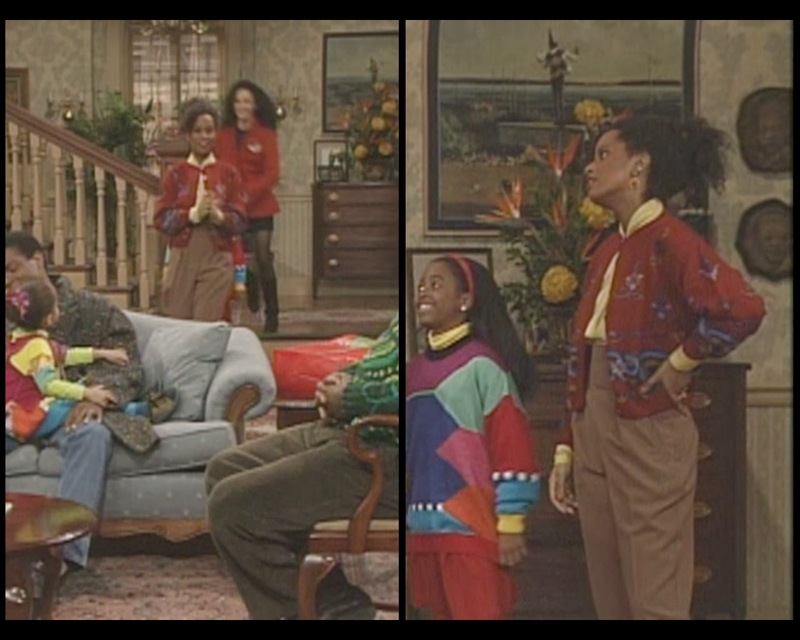 You know how I know this episode has misogynist undertones? Because they put Clair in the ugliest outfit she's ever worn. I don't even want to talk about it. I'm getting sad just uploading this screencap. 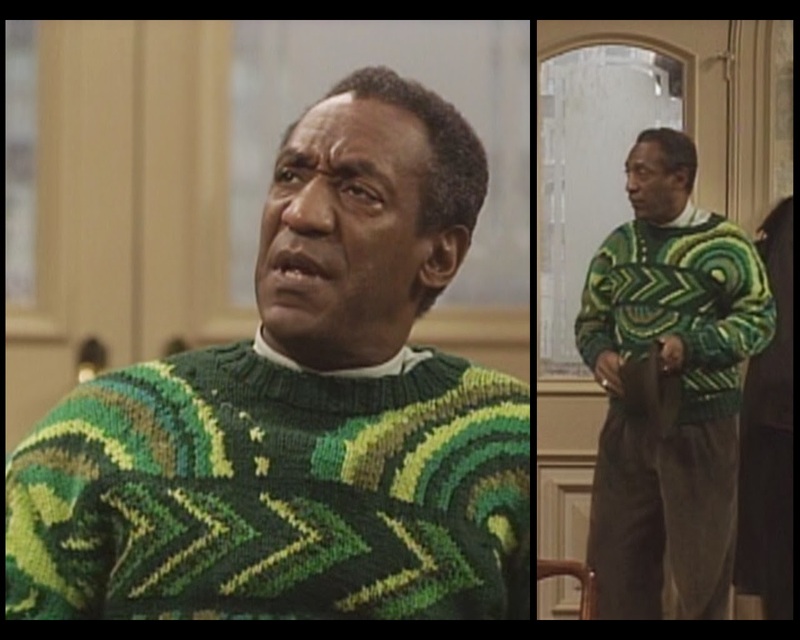 Cliff's sweater is the basis for a bonus stage in a Sonic the Hedgehog game. He changes into his uniform later to show off for Martin. 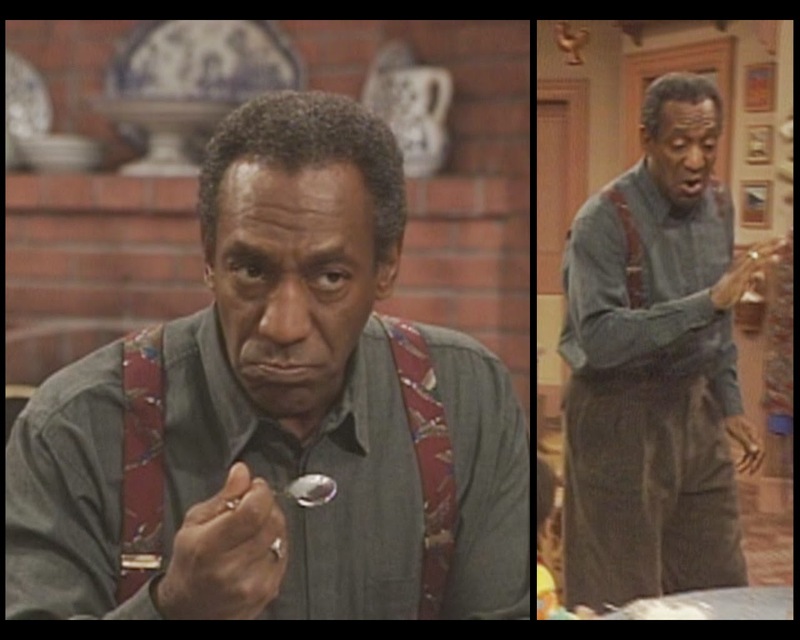 There's nothing in that spoon. And now my usual apology about being late with the entry. I could just change it and say that new posts go up every Wednesday night, but then I'd miss THAT deadline and posts would go up on Saturday... I just can't go down that road. Man, I've remembered that virginity convo from time to time, and thought I must have misremembered because it was so absurd. Sad to learn to I was wrong (but never, ever sad to read this blog). Woohoo, Eve from Passions! 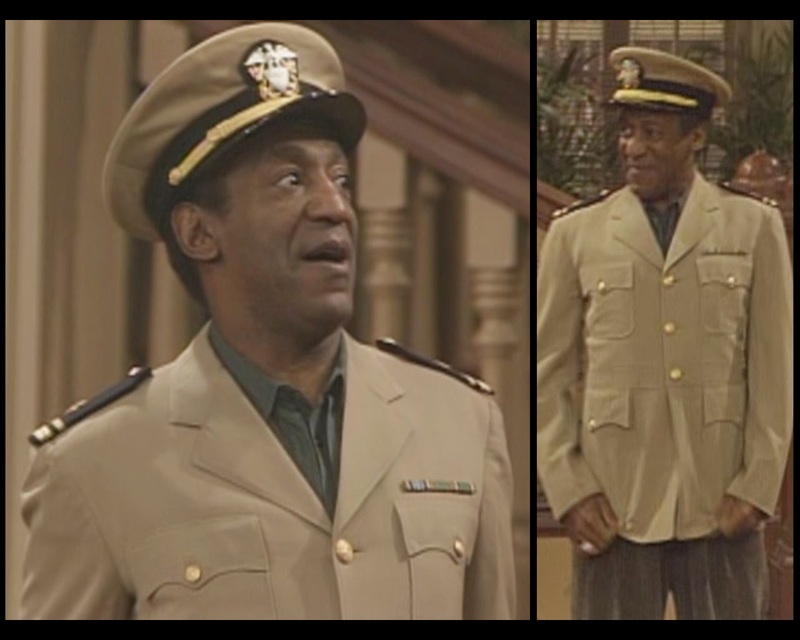 I never would have thought we'd find a Cosby/Passions crossover.